With over 500 million users daily, Instagram is one of the largest social media platforms across the globe and the second-fastest growing behind its popular sibling, Facebook Media And with such a wide reach and diverse platform of age, gender and nationality, you’re certain to reach your target audience. In terms of marketing, Instagram is one of the best online tools for your business. Not only can you reach a huge number of potential customers, but you can tailor your marketing and target, almost exclusively, those customers who are interested in your niche. It’s clear to see that Instagram is THE up-and-coming place for marketing in 2018. But, with all those users – business and consumer – how do you stand out in such an enormous crowd? We hear you. You don’t have any marketing qualifications, you can’t edit photos like the professionals, the only thing you usually film is your mate Dave when he’s drinking twelve shots in a row down the pub and you’re okay at writing stories, but your high school English teacher wouldn’t agree? Well, we’re here to tell you it can be done. With just a little bit of determination, the right hacks and some hard work, you can make your business Instagram grow and earn you money. In this post, you’ll find all you need to know about growing your brand online, expanding your business and making money on Instagram and the tips, tricks, hacks and help that’s out there. 2 Organic Growth or Paid Advertising? 5 How to manage your profile – business or personal? 7 What is an influencer and how can it help your brand? 2. Organic Growth or Paid Advertising? When it comes to growing your online presence, particularly on Instagram, is it better to let it happen organically? Or pay for it to happen artificially? organic growth is earned and determined by algorithms that boost your content based on its value and merits. paid advertising is the opposite. It’s bought rather than earned, paying for ad-content to reach potential customers. Ultimately, there are deciding factors, such as budget, cost, how much time you have and what niche your business is in. But next, we want to try and show you both avenues and the pros and cons of them, to help you decide what’s a perfect fit for your Instagram business. The best thing you can do for your business is to spend many hours organising your marketing campaigns, creating the perfect content, posting at the ideal time and growing your following with your infectious wit, enthralling content and fantastic social media skill. Having a large organic following and a reliable customer base is the holy grail for most businesses and brands. However, progress can be snail-like and you may not have the time to wait for results. Campaigns can take weeks to set up and implement and then completely fail, leaving you to start all over again, with not even ten new followers to your brand. It can be disheartening. So, is paid advertising for you then? Well, when it comes to time, paid advertising is certainly on your side. A small amount of set up and as wide a reach as you pay for. But what sort of costs gain you what sort of reach? There is no set cost for advertising on Instagram. Essentially, you bid for an advertising slot and Instagram places the ad that bids the highest and not just in cost, in the value of content too. This is a simplified version of events, of course. You have to choose your budget, your type of cost (ie. Cost Per Click or Cost Per Mile) and who to target with your ad. AdEspresso found that the average cost for using CPC (Cost Per Click) advertising is around $0.70 to $1.00 (or 54p to 78p). But this can vary for a whole load of reasons. For example, 18-24-year-olds will come with a higher CPC, so you will have to look at setting an average daily budget. Using CPM is slightly different; you pay for every thousand impressions that your ad receives. But, in a highly targeted marketing campaign, you could be looking at paying over $5 (or £3.88) each CPM. However, it is just as poignant to suggest that, by spending the time in gaining your followers and sales organically, you are wasting money. All the time spent on your campaign could be time spent elsewhere. The costs of paid advertising on Instagram outweigh the cost of advertising on its sister platform, Facebook, sometimes by double. It is worth noting though, that a study done by Forrester found that Instagram posts get ten times more engagement than Facebook posts. However, this could work in the favour of paid ads or organically created posts. It all comes back again to how much time you have to create your beautiful content and implement the strategies necessary to reach a large audience. The joy of organic growth is that it will likely build a legitimate, long-term set of followers who regularly engage with your content and keep coming back to your brand and making you money. You’re able to build relationships and engage in return. You aren’t starting from scratch every month, just building on what you’ve already done. Unfortunately, as usefully instantaneous as paid advertising is, once you stop bidding for ads, your traffic will drop dramatically. Each new campaign requires a new ad and possibly a different angle to attract a new set of customers. An ad with the right, valuable content can be useful for pulling a quick sale, but it doesn’t build trust and communication. While some customers may return and you may gain a small following, it isn’t as sustainable as organically growing your brand. For some useful Instagram marketing strategies, have a look at our post. The best thing you can do though is a little bit of both. Work on your organic growth and throw out some paid ads too. But if you don’t have the time (or the money!) to sink into your online growth, (and we wouldn’t blame you! ), it is the sort of thing that Instagram management companies like Growth Factor take care of, and you can choose your package to suit you and your budget. They guarantee to reach anywhere between 500 to 2,000 users per day, depending on which package you choose. And it’s all done by manipulating the Instagram algorithm, organically – leaving you with valuable, long-term followers. It’s services like these that allow you to focus on the running of your business, rather than the mechanics of marketing. Direct Messaging (DM) is one of the more under-appreciated aspects of Instagram. Reaching out instantly and personally too, and building relationships with all kinds of people can be invaluable to your brand. And DMs have the power to do that. 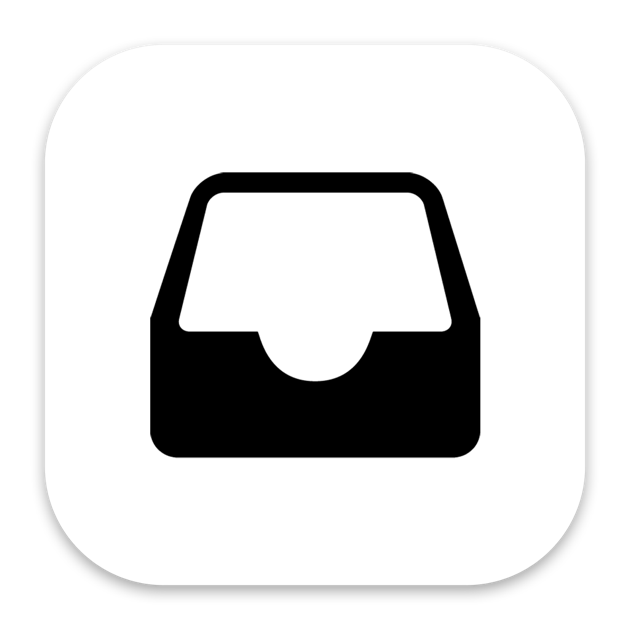 DMs allow you to contact almost anyone privately and send messages, photos, and videos. You can create groups of up to 50 people. It’s the ideal opportunity to connect on a personal level. And the immediacy of that little blue dot in their inbox, that signifies an unread message, usually means you’re more likely to gain their attention. When someone contacts you via DM, it’s because they want to know more about your brand or product. This is your chance to let them in on the person behind the brand. Respond, promptly and ask questions in return. Knowing what your followers want can be the key to making future content sparkle. Human connection drives engagement! DMs are the perfect place to send a shout-out to a valued follower. They aren’t the place for blanket marketing messages (that everyone hates), but a place to converse, in real-time with the people that have the potential to make your business thrive. See what your followers are chatting about on your feed and extend the conversation – show them you’re engaged with them and we promise, you’re far more likely to get that in return. Not only can you garner immediate attention from potential customers with a well-placed DM, but you can reach out to influencers in your niche too. Be sure to not be too random and have engaged with their feed first, so that they recognise your name and it feels less arbitrary. Like with followers, if you engage with them, they’re more likely to engage with you! The most important thing to remember is to be genuine, provide value and try to respond as quickly as you can to any greetings, questions or queries. Of course, if you don’t have the time to be hanging around your inbox every day, responding to every single DM, this is something and Instagram manager at Growth Factor can provide. They can send anywhere from 20 to 100 messages per day to new and current followers. They can also tailor those messages and target based on location, hashtags, competitors, and trends, ensuring only valuable content gets sent out. Instagram is the most visual of the top social media platforms. It relies on quality images and video primarily to attract peoples’ attention. But did you know that it can be just as important to get the caption and the tags right? You can be a photoshop wizard and still put off, or not be able to reach, potential customers with poorly written captions and badly chosen hashtags. Try and be original. It might sound simple, but too many stock photos are off-putting. They’re either glaringly obvious, not all that relevant, or they’ve been seen elsewhere. This isn’t how you stand out from the crowd. Here’s how to really use that image to its full potential. Think about how each image takes up the entire screen of a smartphone – all that potential for attracting customers. Make them stop scrolling for a moment or two. A great tip is to amass a bank of some high-resolution images of your products, your people, or anything pertaining to your business. That way you’ll never find yourself short of photos to post. It’s a good idea to invest in a smart-phone with a high spec camera, or even a decent camera for this purpose alone. A poor tradesman never blames his tools, it’s true, but if your tools are high quality to start with, it will certainly make your working life easier! Equally, bold lines and images, with not too much cluttering them are easiest for the human brain to digest. Don’t unnecessarily over-task your followers. Keep it simple. You should aim to create a voice for your brand. Consistency, themes, a general feeling of ‘sameness’ will ensure that each of your posts is automatically associated with your brand. Easier recognition means more recognition, as your customers don’t have to work as hard to know that it’s you! You may not be a photoshop genius. But it’s never too late to learn. You can have a play with the editing suite and filters on Instagram, but you can always find one with more functions. With lots of online design tools, like Spark Post from Adobe, you can edit your photos to almost-professional standards. You may think that you can let your pictures and videos speak for themselves, and to some extent, you can. But people still like to read your captions to connect to the human voice behind the brand. They need to be fresh, creative and compelling. This is your chance to convert that person to your brand! Provide context, be succinct, incite a response and reference popular culture (a huge portion of the Instagram demographic is under 35). Jeff Bullas describes how those sticking to 80 characters or less receive 66% higher engagement. Take your time to minimise errors, a rushed post with a rushed caption will be obvious. Be conversational and open, formality never comes across well. Like all Insta content, provide something useful about your brand, or an interesting or trending topic, if you can. Not all information can be conveyed, simply through an image. Keep a close eye on your responses and measure what type of captions work best for your audience. Again, it’s all about knowing what your audience wants to read, as well as see! For a detailed look at writing the best captions in 2018/19, check out our post. Using the hashtag is a bit of a balancing act. Use too many, you come across as spammy. Use too few, you might not be extending your reach as far as you could be doing. Your hashtags should be relevant and useful. Studies show that brands that use hashtags and location tags get more engagement. And you can’t argue with the facts. Brands that use at least one hashtag get an average of 12.6% more engagement than their counterparts. The same study suggests that, while it’s a good idea to utilise them, it’s also a good idea to find a happy medium – 91% of top brands only post seven or fewer hashtags. Check out which hashtags get the most likes. We recommend using something like Hashtagify. It’s a really useful tool to explore which hashtags will reap the results you need. Remember to try and keep them relevant to your niche so that you’re reaching the right audience. We’ve also compiled an Ultimate guide to Instagram hashtags for everything you need to know. This one is self-explanatory, particularly if your brand or product relies on a place of business in a certain location. If a user searches for your area, your images will show up. Equally, tagging others in your niche can serve a couple of purposes. First and foremost, you’re reaching a whole lot of followers (theirs) that you may not have done, without. But even better, you’re expanding your community. Communication with others in your niche is important to expand your brand. Video is the latest favourite on Instagram. Take advantage of it. Business Insider reveals that ‘Instagram video attracts more engagement that Instagram competitors’. Meaning it really is time to jump on that bandwagon. Even a well-placed Gif can grab the attention of potential customers. Again, be valuable. Post useful videos. 60-second insider videos, describing your brand can really humanise it for potential customers. Equally, how-to videos can often go down well, especially if one of your products can be showcased in this way. You might think there’s not as much value in a post that only lasts 24 hours. There is. Let us explain how. Stories can be incredibly useful for sharing limited time offers, encouraging people to engage quickly for a good deal can be a good way of getting the fast likes you need to increase your reach! A cheeky tip? Randomly select which days you put out your offers. This will keep people coming back often to check if one’s up! But don’t just use Stories for offering deals. 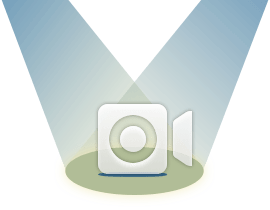 You should also use it for insider peeks at your business and brand and short how-to videos for your products. This all contributes to humanising your brand and connecting with your audience. Invite an influencer into your account. If you’ve built a good relationship with an influencer (remember all the organic growth stuff? ), you could petition them to take over your Stories for a day! That way, you’re reaching their large and invaluable following. For more ideas to incorporate Instagram Stories into your organic growth, take a look at our post, 7 ways to use Instagram Stories in your Instagram marketing strategy. Videos can be up to 60 seconds long and are the perfect way to grab your followers attention with quality footage. It can be anything pertaining to your brand! Create short, engaging advertisements in the form of videos. Use text overlay and subtitles. This is great for context and means you can get creative with your videos. But try to keep it to a minimum. Your videos should supply the main narrative. Instagram changes with the times. When they recently discovered that ‘younger audiences are spending more time with amateur content creators and less time with professionals’, they introduced IGTV. It’s mobile-friendly video, more easily discovered and, most importantly, features longer videos. Anyone be a creator, and you’d be foolish not to take advantage of the opportunity to extend your video-skills, whether that’s how-to tutorials, behind-the-scenes vids or interviews with someone important to your brand, it’s there, so use it! Beware of pushing your products too much. Try not to be ‘sales-y’. It can be a huge turn-off. Vary your content, keep it interesting and engaging. Your image or video should tell a story, your caption should provide the context and your hashtags should connect you with others in your niche. Most of all, know your audience. What do they want to see? What do they like to read or watch? Doing your research here is essential. You can make the most incredible content, but if you’ve filmed your latest mountain bike ride with your high-quality action camera, edited it to perfection and you’re wanting to show it to the beauty community, who you sell eye-color palettes to, be aware that you’re likely to get less engagement on that post! For some direct tips on creating Instagram social media content for business, see this post. 5. How to manage your profile – business or personal? Personal profiles are much simpler to run, no complicated extras. No private settings – technically this would be counter-productive to disallow strangers from seeing your posts, but if you were ever to need to, you can’t make your business account private. You must have a Facebook page. Which is fine if you already do, but not so great if Facebook isn’t a good fit for your brand’s marketing strategy. Conversely, business Instagram can only link to one Facebook page, whereas a personal account can link to multiple. Losing organic reach. There are concerns that because the algorithms are slightly different, there could be more of a struggle in organically being able to reach customers. It’s FREE! – Pretty self-explanatory – some nice “business-y” extras, completely free! Instagram Insights – invaluable to a business, Insights is the inbuilt analytical tool that provides all kinds of details about your followers; things like when they’re online and who they are. It also lets you see how your individual posts and Stories are performing. However, having said that there are more effective analytics services out there. Growth Factor, for example, provides a totally free and thorough analytic and account health check service. The great part is that they can analyse your data for you, and come up with an effective Instagram management plan. Instagram Ads – If you want to run paid ad campaigns alongside your organic growth marketing, a business account is for you. Promote your posts with a business account. Contact button – There’s a handy contact button featured on business Instagram accounts that allows you to give your customers a phone number, email address or directions on a map. Links to your Stories – If you have over 10,000 followers, Instagram lets you link posts to your Stories to help drive more traffic and make more sales. Explore Page – Having the ability to monitor and analyse your account means you can promote the relevant posts and emulate them in the future and have more chance of getting a spot on the coveted Explore Page. There are definitely more pros than cons to having a business account for your brand. It has far more useful features and, once you’ve got the hang of it, it really can help to grow your business. If you need help with your Instagram business bio, we put together this post, How to write a professional bio for your Instagram business account. The Explore Page is every Instagram marketers dream goal. To be featured up there is to reach hundreds of potential new followers in your niche. The algorithm monitors interaction and gives users relevant content based on what they’ve interacted with before. How do you hack it? learn about your target audience – what do they like/follow/engage with/post? Communication – With all the different aspects of Instagram Business, it’s easy to forget the “social” aspect of social media! Ask your followers to like/comment/share, engage with their comments on your posts. They’re much more likely to engage if they can see the human behind the brand. Find influencers – But do it organically, by engaging with their content, genuine DMs or tagging/including their quotes in your own posts (go down and check our section on Influencers for more help). The 2018 Instagram algorithm cares, not only how much engagement you get, but how quickly you get it. The more likes your post gets in a short time, the more Instagram recognises it as quality content. Once that happens, the algorithm will allow it onto that all-important Explore Page. In 2018, the average best times to post your content are either between 11 am and 1 pm, or 7 pm and 9 pm. However useful this information is as a starting point, it’s important to remember that this won’t be the same across the board. So, pay attention to your followers. Scheduling posts when most of your followers are online will get you more immediate engagement, boosting your posts quickly. Using a business account and Instagram Insights you could create spreadsheets that measure how much engagement you receive at different times of day on each post. You could also use Insights to discover where the majority of your followers live, and so get a good idea of which time zone to post in. But keeping a track of all of these things, on top of everything else can get overly time-consuming. If you want to skip the figuring out and go straight to finding your best times to post, turn to an Instagram Growth Service like Growth Factor. They’ll work out your best time to post and schedule your posts for those times. They’ll also track any changes in your followers’ engagement or online habits and adjust your posting times accordingly. For a better look at timing and when to post, have a look at our post, The best times to post on Instagram for optimum engagement. Also, why not take a more in depth look at the most recent 2018 algorithm? After all, knowledge is power, and you get to procrastinate, in a useful way, for a little longer! 7. What is an Influencer and how can it help your brand? Put very simply, an influencer is someone with a reasonably big, but mainly valuable, following who shares and engages with your posts or products and helps you expand your reach. With more than 14.5 million sponsored posts across Instagram, influencer marketing is not only popular, but it works! Influencers know their stuff. And you can not only utilise their following to your own ends, but you can learn a lot from them in how they present their Instagram accounts, what content they provide for their fans and how they reach your customers in your niche. The visual platform, Instagram is the most suitable for influencer marketing. Recent introductions, such as Instagram videos and Stories, make it even easier for influencers to do their stuff and get your products or services out there. It’s estimated by Mediakix that altogether, the 50 most followed influencers have a combined total of 2.5 billion followers. Not only do they have an enormous reach, but their research found that these top influencers are sharing an average of 45 posts every month. They are reaching out to their audiences every day, with the consistency that’s necessary to build a loyal following. Influencers create a more personal and trustworthy avenue for marketing. They aren’t a corporation looking out to scam, or the biased creator of the product. They’re a useful ‘middle man’ (or woman!) who have an established fan base. Advice about a product from an influencer can often feel more like a friend’s recommendation, rather than an advert. It takes out the ‘sales-y’ aspect of marketing. This builds trust with your customers, creates a more personal relationship with your brand and, ultimately, sells your products. With organic growth more difficult to obtain, more businesses are turning to influencers to help marketing their brand; a “micro-influencer” is what you need to really make a difference. These types of influencers have a smaller, but very highly engaged following – quality over quantity is what you need to see your posts reach more potential customers. The term “micro” is quite broad, covering anything from 1,000 to 100,000 followers. But it really only matters how much those followers engage. With the way the latest version of the Instagram algorithm works, it’s highly likely that you’ll reach a higher percentage of a smaller, but well-engaged following than you would a high-end influencer with a large following, but not as much engagement. So, it’s worth investing in ten smaller influencers than it is one large one. Finally, try to build a long-term relationship with your influencers. Using their services regularly will maintain your reputation with their followers and show your brand out there consistently so you aren’t forgotten. Engagement groups are another tried and tested way to improve your reach by persuading Instagram that your content is worth bumping up your followers’ news feeds. They are a group of Instagram users, in a particular niche, who like, comment and share your posts, helping you reach a larger pool of potential customers. Golden ticket, anyone? – Getting into those groups that are really effective and do their jobs well is like gaining entry to Mr Wonka’s chocolate factory… if Mr. Wonka’s factory was situated at the centre of an 80’s style Labyrinth with bad effects and large, hairy costumes… Bowie and Depp to defeat. We wouldn’t blame you if you fell foul to that kind of distraction. No, but seriously, they aren’t easy to come by, or to get in to. Finding the time to do your part – Engagement groups differ to influencers in that you have to be prepared to do your fair share. It’s a community. One that is supposed to benefit all its members. You need to be prepared to do your own fair share of commenting, liking and sharing to get the same in return. It’s not all bad! – A well-oiled engagement group who effectively commit to helping each other is cheaper than paying for an influencer or advertisement. It not only gets you seen but grows your following organically, thereby playing to the strengths of Instagram’s latest algorithm changes. Of course, if you’re struggling with finding your own, companies like Growth Factor have the expertise and the insider knowledge to drive your engagement through the roof. With influencers and engagement groups, you can achieve something called, “powerlikes”. This is exactly what it says on the tin – a bunch of powerful, natural and valuable likes that can send your post soaring to the top position. “Powerlikes” help you to go viral and reach that coveted position on the Explore Page that we talked about earlier. Getting quality likes from big accounts and influencers is a sure-fire way to reach the top and it should be an invaluable component of your Instagram marketing strategy. When your followers like one of your posts, it has the potential to appear in their followers’ Explore tab, extending your reach exponentially with every valuable follower you have who likes your post! Of course, if you just don’t have time for the leg-work, why not try a reputable, online marketing company, like Growth Factor, who already have a massive network of Instagram followers that they can utilise to increase your organic growth. Not only that, but they can post at peak times, according to your particular audience and get you the very best quality likes which leads to a larger and more valuable following. Remember, the more, powerful likes you get, the more your content will be shown in your followers’ news feeds and the more potential you have to go viral! Now you have a better idea of the components involved in running your Instagram business, let’s have a look at automation. It can seem an attractive prospect to allow a type of software online to take over the daily running of your account. Things that promise to grow your following or post your images. However, be wary. You could be violating Instagram’s Terms of Service. If Instagram’s algorithm calculates that your followers aren’t real, you will be penalised, and your posts won’t get the sort of reach that you really need to grow your brand on Instagram. It’s also important to watch out that you’re not paying for a service that claims to provide organic growth but instead provides you with fake followers. You can check this by keeping an eye on your engagement and who is following you. Instead, why not use an Instagram marketing management company like Growth Factor to take the pressure off and reduce the risk? It’s all done by experts in online marketing, passionate and experienced in their field, and it’s all 100% organic and completely transparent. No need to worry that Instagram won’t like what you’re doing and no need to worry that you aren’t giving your account, (or accounts) the attention it needs to grow. There can be a more serious reason for handing over the running of your account to a knowledgeable Instagram manager. They know the hacks and the strategies, but they also know what NOT to do. Remember we talked about consequences? Well, we’ll explain. Shadowbans are believed to be a way of blocking your content from being visible to those who don’t follow you, rendering you all but invisible. This is problematic in that it stifles your brand from expansion and stops you from reaching new audiences. Lots of Insta users have speculated that this is Instagram’s way of filtering out those users who aren’t complying with their service terms. Although, in a recent press conference, Instagram has assured its users that the shadowban doesn’t exist. Whether this is the case or not, it remains a fact that if you don’t comply with terms and conditions, use Instagram responsibly and strategise your marketing around the latest algorithms, you just won’t get the reach that you need to grow your brand. For more Instagram myths de-bunked, check out our post. Automation is one example. It is being used by many users in order to generate followers and increase engagement by showing their brand to be more popular than it is. It’s inconvenient, but true, that this is pretty high up on Instagram’s ‘no-no’ list. Which can be pretty detrimental to your business growth. How do you prevent a shadowban? The easiest way is to get a good Instagram Management service like Growth Factor to manage your account and grow it organically. Don’t get yourself reported for inappropriate content, spam anyone or infringe any copyright. Don’t abuse your daily limits on how much you can like, comment and post. The general rule is no more than 60 comments, follows or unfollows or 150 likes in an hour. Don’t use bots that grow your following or post for you – quality over quantity is key with followers anyway. Be careful that your hashtags aren’t broken or corrupted. For our extensive list of hashtags to avoid, check out this post. Worried you may be “shadowbanned”, or that you just aren’t achieving a broad enough reach? Get a Free Instagram audit. A good Instagram Marketing Manager, like the team at Growth Factor, can restore a shadowban from your account and get your content back onto your followers’ news feeds. They can restore a stolen account and get an account unblocked. They can also provide the blue tick verification next to your name that is so coveted. Blue tick verification puts you in line with global brands, celebrities, and huge influencers. These guys have proven to Instagram that they’re “Authentic”, “Unique”, “Complete” and “Notable”. Not only can a manager maintain the health of your account, but the running of it is taken care of too. They have the knowledge and experience to help you grow your Instagram account organically and make sure that it’s working to its full potential and making you money. Affiliate marketing for beginners - Earn passive and monthly recurring income! Pioneering in the social media space, Growth Factor has helped countless brands reach their potential. A full stack of results driven services offering everything you need in the digital space to make an impact. Elite service backed up by industry leading professionals on hand to guide you in the right direction.